What a difference a year makes. The President defiantly told the country before his DNC speech that we were “better off” since he’s taken office, a complete about-face from what he admitted just a year ago when he told various media outlets that Americans were not, in fact, better off than they were four years ago when he took office. Describing himself as “the underdog” in next year’s presidential election, Barack Obama admitted that Americans were no better off than they were four years ago – echoing Ronald Reagan’s successful criticism of Jimmy Carter. The president made this admission when the country had only logged around 30 straight months of unemployment above eight percent. 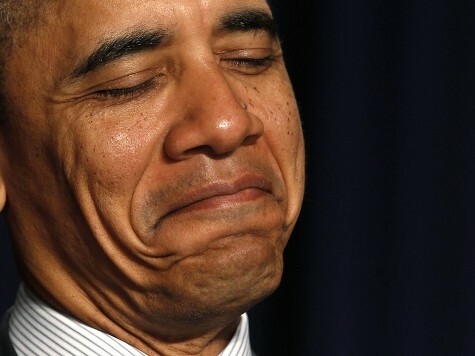 Yet just days ago before his speech, with the newly announced $16 trillion debt, 42 straight months of 8+% unemployment, Obama declared that we were “better off” due to his policies. Obama may seem certain this year, anyway, but his campaign and surrogates aren’t so sure. David Axelrod and David Plouffe both dodged the question. Joe Biden gave two, three by his count, enthusiastic thumbs ups to the question. Elizabeth “Fauxcahontas” Warren said no, we aren’t better off, and it’s all the Republicans’ fault. The Republicans’ fault. The Republicans, who didn’t control the Senate or House or White House for two years like the Democrats (half that term Democrats held a super majority) and today only control one-half of one of those three entities today. The Republicans must be very powerful to be able to thwart the majority party’s objectives for four straight years. Democrats may want to use caution with such a deflection; it may give voters the idea that Democrats still can’t get anything done even when they control Washington. Democrats need to spin harder, the public isn’t buying it.